The race season is getting closer day by day, and even though I´ve had some very good training weeks, I don´t feel ready at all do race a World Cup. Hopefully I feel more ready in 4 weeks. Yesterday we kicked off the season with a local race just close to where we live. Le Tour- Mont Blanc Ski Challenge. 3 years ago it was my first ever Individual skimo race.! I was just back form The North Face 50 mile race in San Francisco and had maybe 3 days of skiing on a pair of Kilians old skis and said yes to join the race. Yeay! Oh man it was so fun! I didn´t really understod how the binding worked (I was a telemarker and a x country skier! 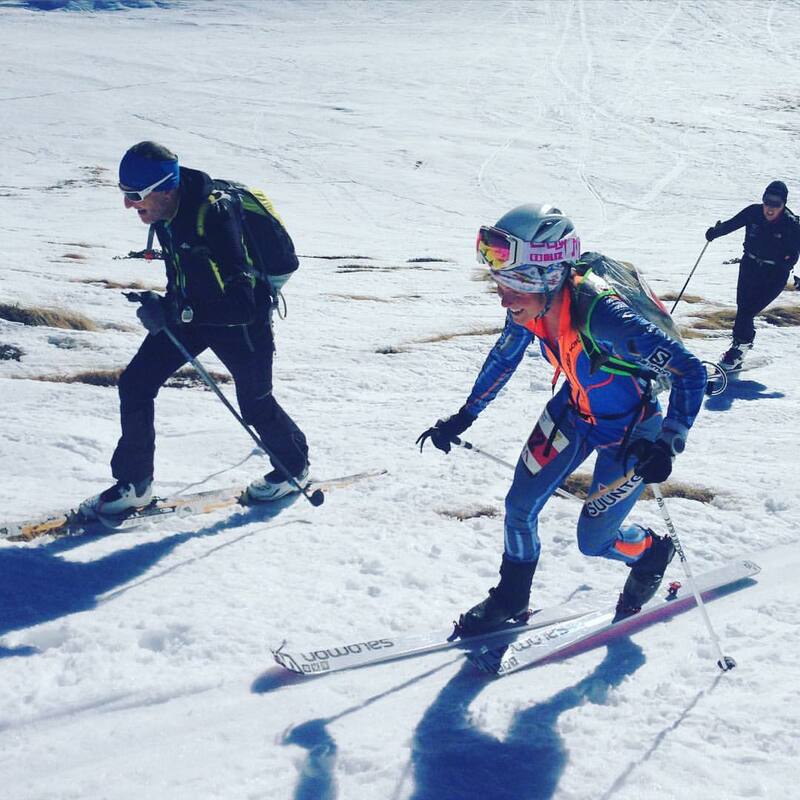 )so I lost my skis in the uphill, I lost my skins and so many more small mistakes. But I enjoyed it, I had fun and I pushed hard. I finished 3 rd which was super cool for me! Coming back to this race was so nice. There is always strong competition down here so it was a proper training ahead of the season. During the race I compared 3 years ago and now. It made me smile..! Now I have so much more routine on every step we are doing in a race. But still I have so much to improve. Seconds everywhere. Technique. Strength. Downhill skills. And that is what drives me forward. The progression. Wishing you many happy trails in 2016.